Carbon Quartet is a saxophone foursome that performs some of the most exciting and dynamic quartet music on the planet. From jazz to classical to Latin, Carbon Quartet will tackle anything. Rulon Brown (soprano sax), Nick Torretta (alto sax), Kevin Nortness (tenor sax) and Chris Credit (baritone sax). 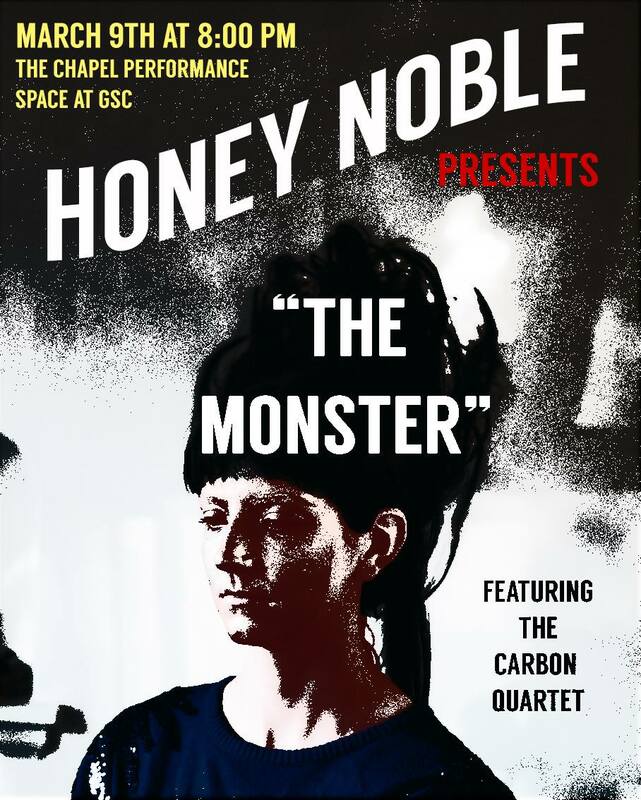 After Carbon Quartet , stick around for “THE MONSTER” – a new musical theater experience from Honey Noble. The Chapel Performance Space on the fourth floor of the Good Shepherd Center.